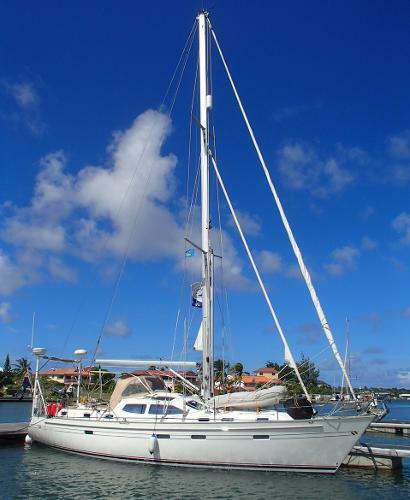 to $499,000 – A $136,000 REDUCTION! The owner had his 2012 Southerly 135 built and equipped to go anywhere! And "Viking" has served him well! "Viking" has sailed the Oceans - first the Atlantic to the U.S., than through the Panama Canal, across the Pacific to the Galapagos and is now in Fiji" . 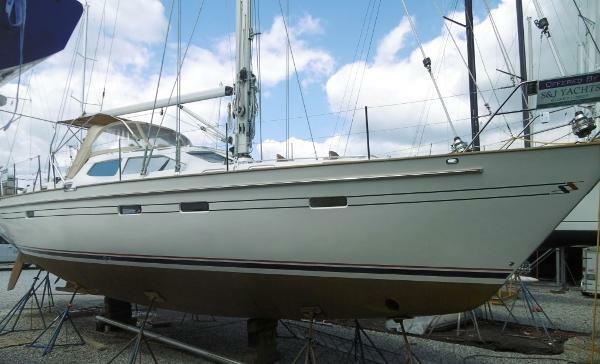 "VIKING" - is the very last of the iconic S135's built. 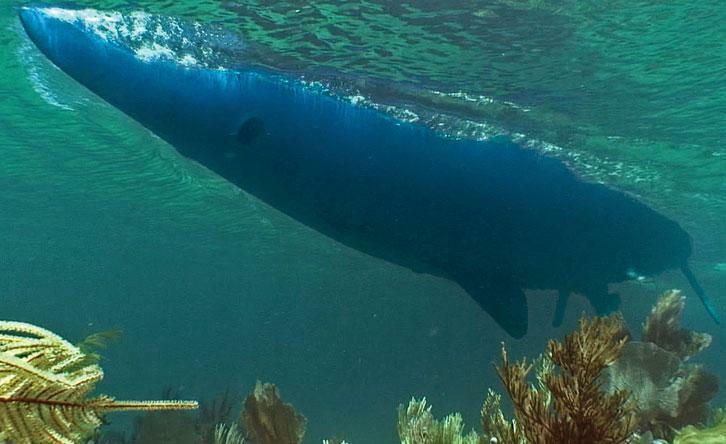 The Southerly 135 (45') can go where most boats cannot with an extreme shoal draft of only 2 feet 9 inches. 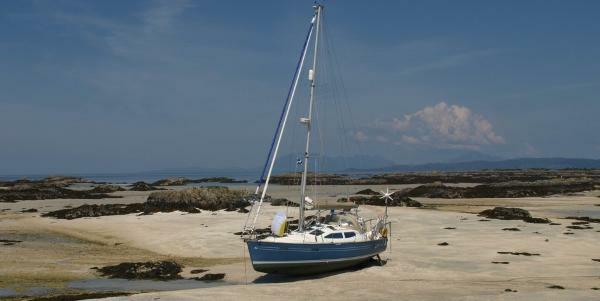 Just imagine where you can sail this boat and the safe harbors and anchorages you can enjoy. 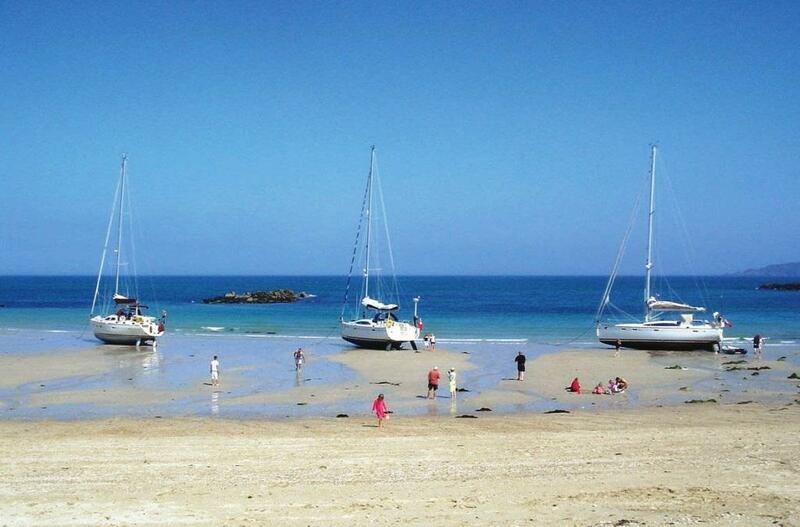 If you like you can even beach her! Having this variable draft ability is a real added bonus when needing to tuck in out of a storm. When in deep water, you can lower the keel with the push of a button to an impressive maximum draft of 9 feet 9 inches. She is easily sailed by 1 or 2 people with in mast furling main, power winches and all lines led aft to the helm. 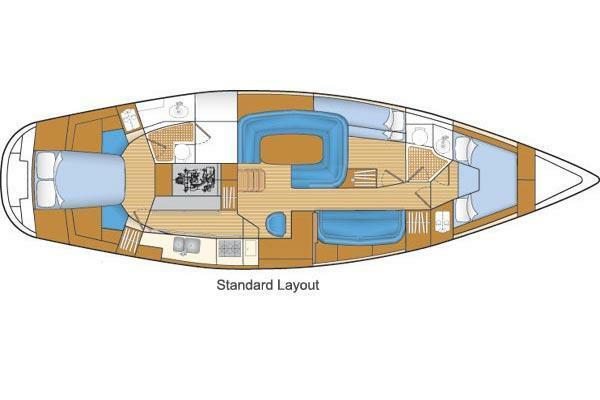 "Viking" has the desired raised salon layout, a separate seating alcove with table, a large galley, 3 staterooms, 2 heads and even a separate work room. 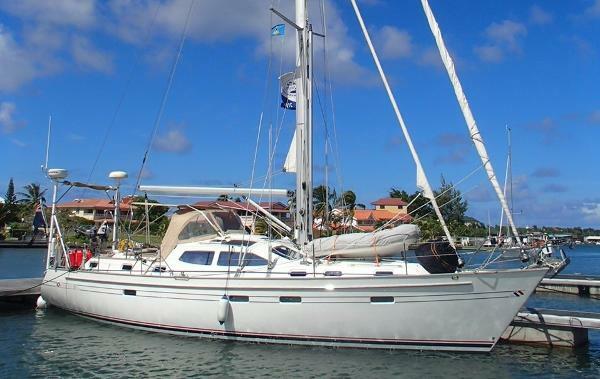 Please contact us today for additional information and to arrange inspection of this exceptional cruising yacht! "Viking" has 3 cabins and 2 heads and will sleep 8 people comfortably. Mahogany joinery. 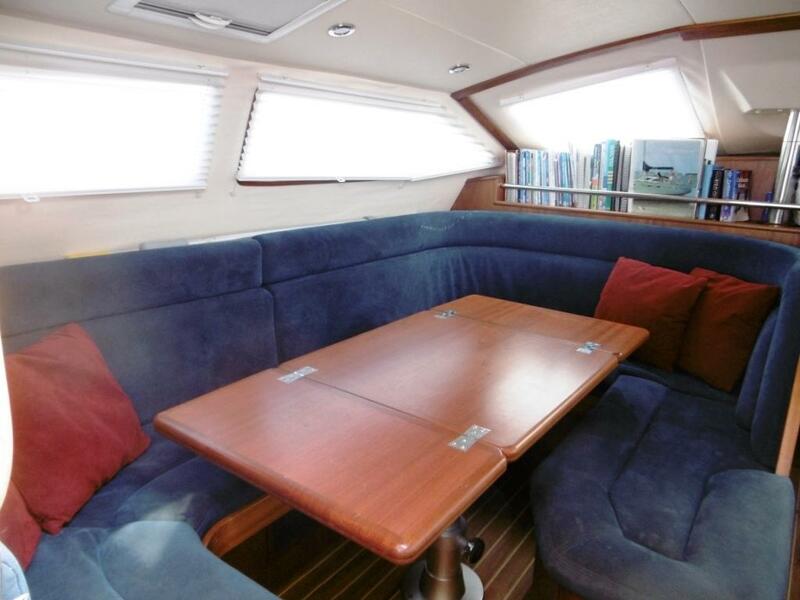 Numerous deck salon windows provide panoramic views and give you an instant feeling of space. 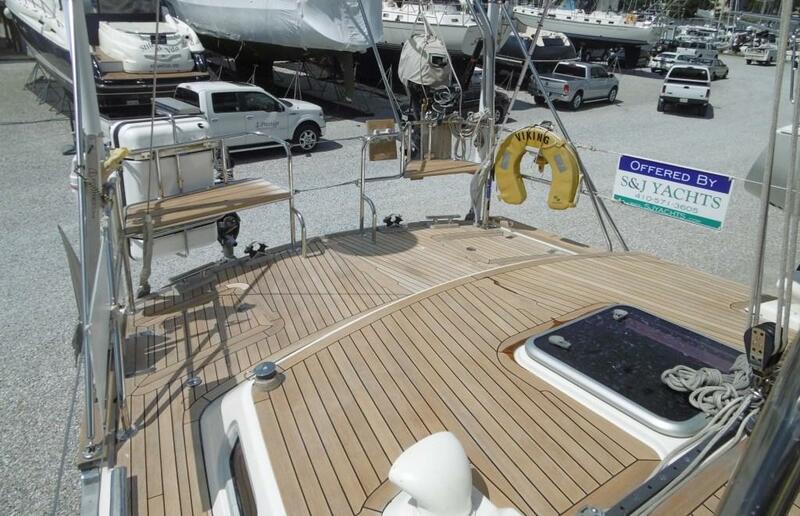 In addition there are many ports and hatches which provide excellent lighting and ventilation. There is even a dedicated work/storage area. Main Salon: The popular raised salon is a wonderful place to sit comfortably with generous seating for 6 people. Large salon windows provide great visibility and allow you to see what is going on around you. This area is very comfortable either underway or when entertaining. The salon table folds to provide a smaller coffee table or expands to make a dining table. 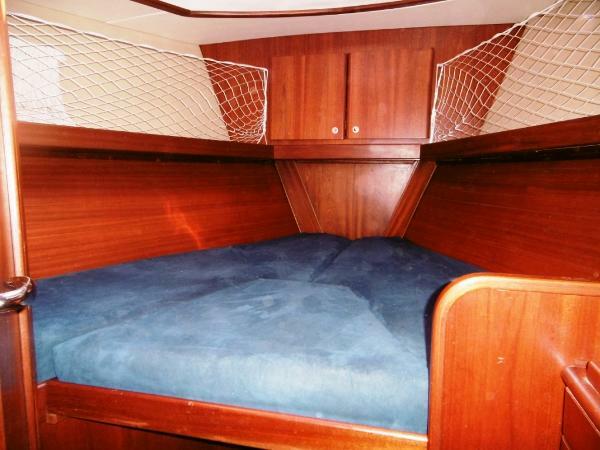 The table also lowers to make an additional sleeping area when required. 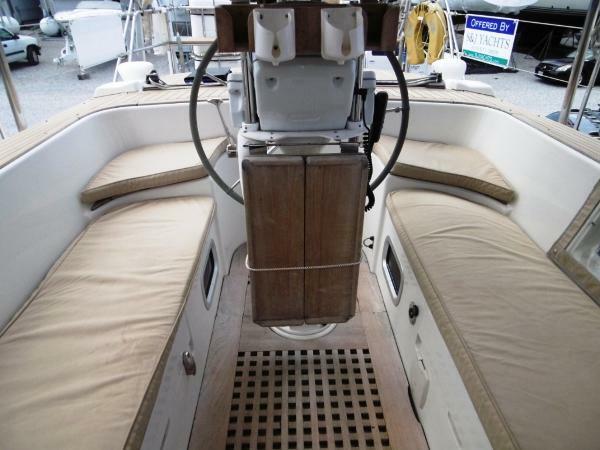 Storage is found under the seating and outboard in lockers. Concertina blinds can be drawn partially or completely over the salon windows for additional privacy. There is a separate seating alcove on the starboard side forward of the main salon. This provides a pleasant area away from the main salon for some quite reading or for the kids to play a game. The table here folds down out of the way when not required. There is also an infill to convert this to a berth. Nice sized windows provide plenty of light and are suitably placed to see outside while seated. Nav: Opposite the salon, on the starboard side is the nav area. For additional details see “Nav and Electronics” below. 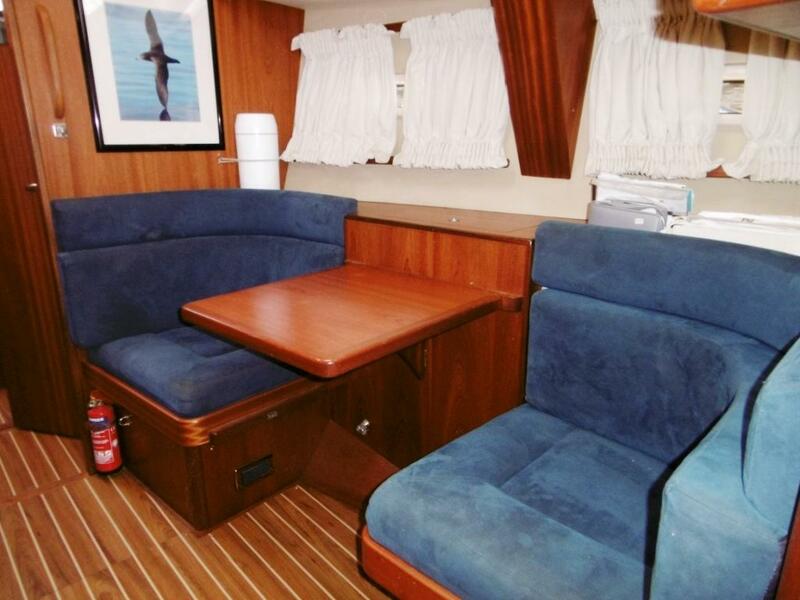 Galley: The galley is amidships to starboard in a lower position for greatest comfort at sea. For further details see “Galley” below. Owners Stateroom: The large master stateroom is very comfortable with plenty of light, good headroom and lots of room to move around. 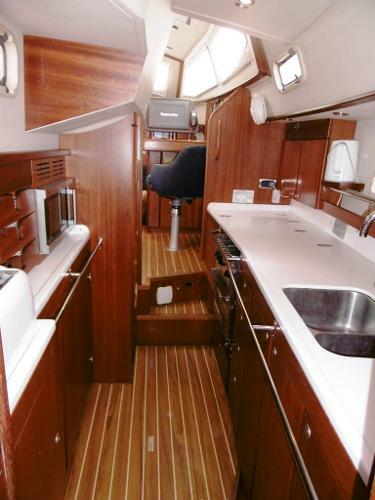 There is a large centerline berth with seating on either side, convenient outboard shelves, and a private ensuite head. The berth is split for a lee cloth. Opposite the berth is a bookshelf with drawers below. 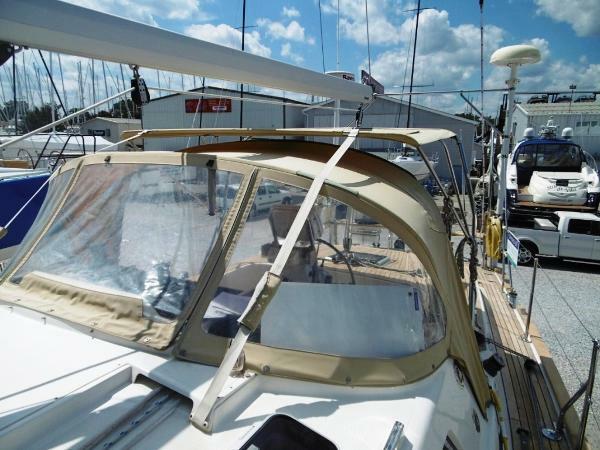 With 4 opening ports and a large hatch there is very good light and ventilation. In addition, there are numerous overhead lights and reading lights. 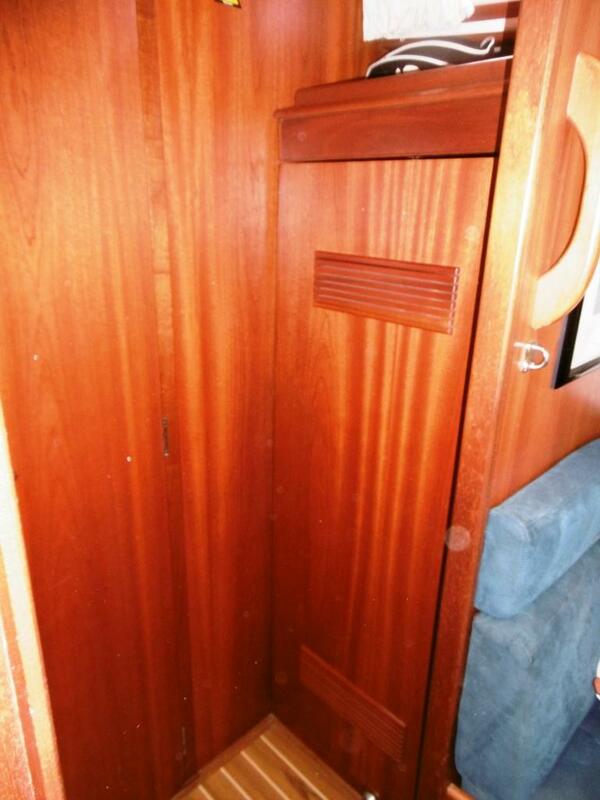 Additional storage is provided by a large hanging locker and another outboard locker with shelves. 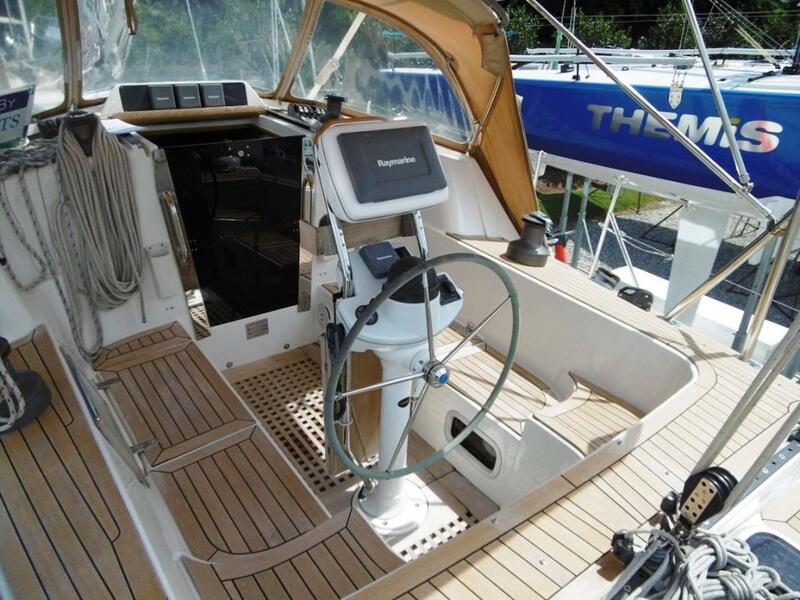 Forward Cabin: The forward cabin has a long v-berth with a filler and private access to the "day" head. 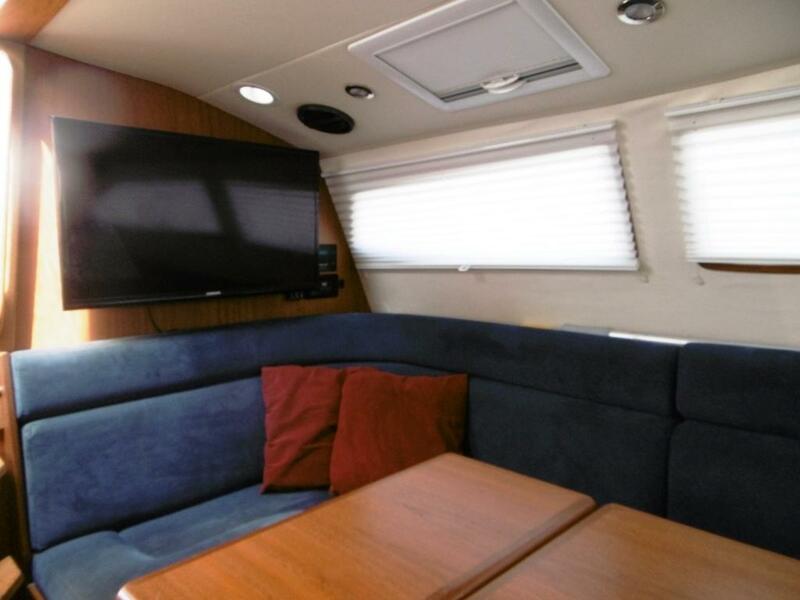 Plenty of light and ventilation is provided by a large hatch overhead, 2 opening ports and 2 additional ports. 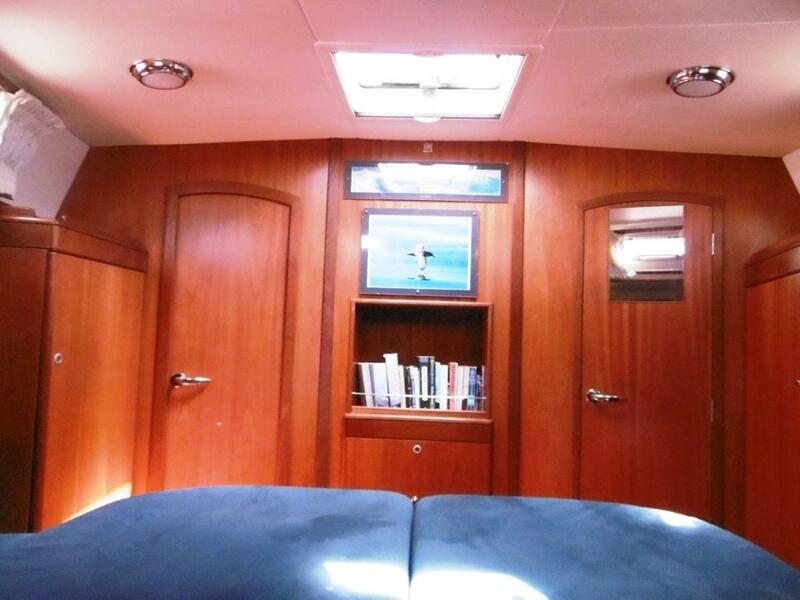 Curtains cover the ports for privacy and there is screen/shade to cover the hatch. 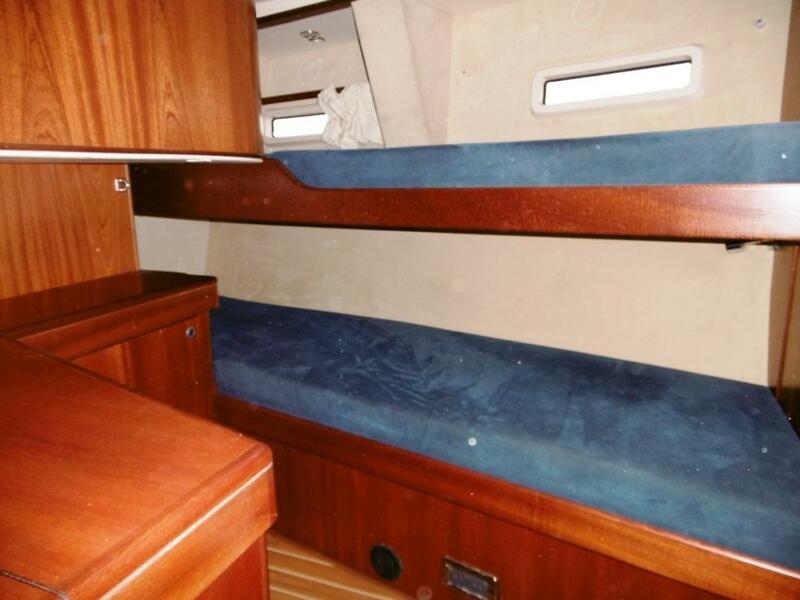 There is lots of storage throughout this area; enclosed locker forward, shelves outboard, drawers, hanging locker, and more under the berth. 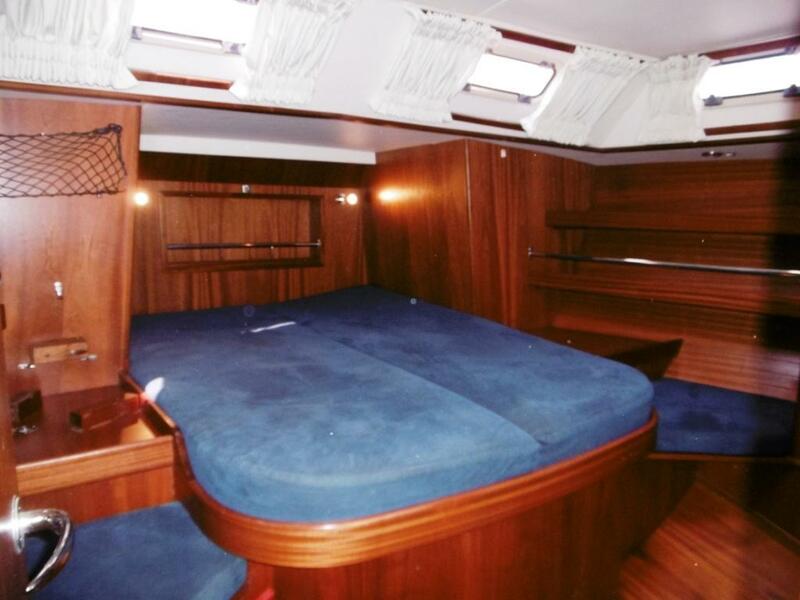 Third Cabin: Forward of the salon on the port side is a third cabin with upper and lower berths. There are lee cloths for both berths. 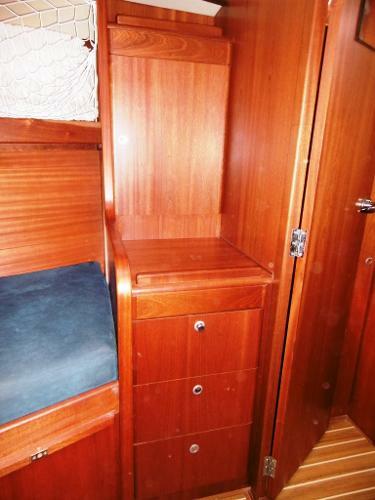 There is storage inboard (2 large lockers) and an L-shaped counter. Two Heads: Both have been upgraded to Johson Aqua-T electric heads. The guest or day head is located just forward of the third cabin on the port side. 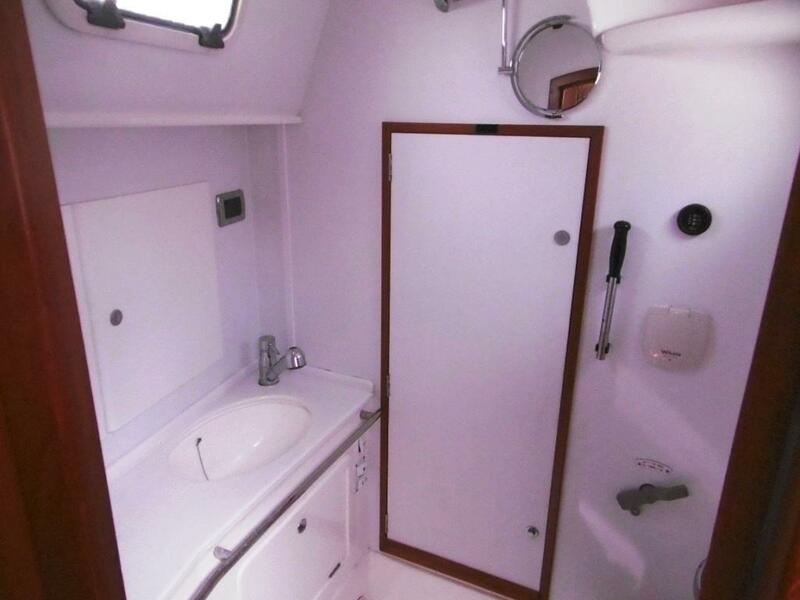 Features include; nice sized basin, large mirror, opening port, outboard lockers and a comfortable seat which covers the head allowing you to sit when showering. There are 2 doors; 1 private from the guest ahead and the other opposite the third cabin. 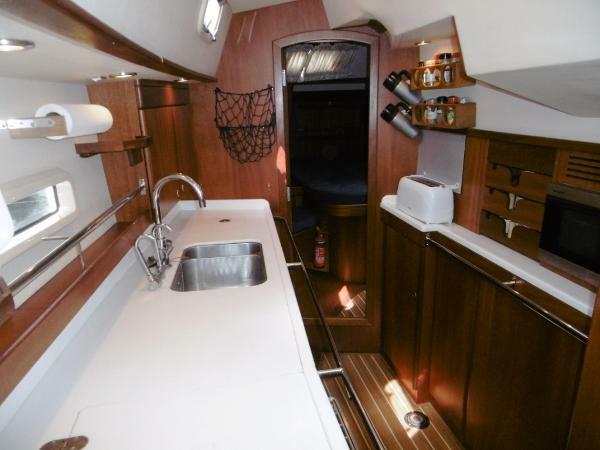 The aft head is ensuite to the master stateroom and has an extractor fan with a two way switch, large basin, mirror, opening port, and outboard lockers as well. There is another door through this head that leads to a separate work area. Work Room: There is a separate stand up work room with a work bench outboard and room for storing some larger items. 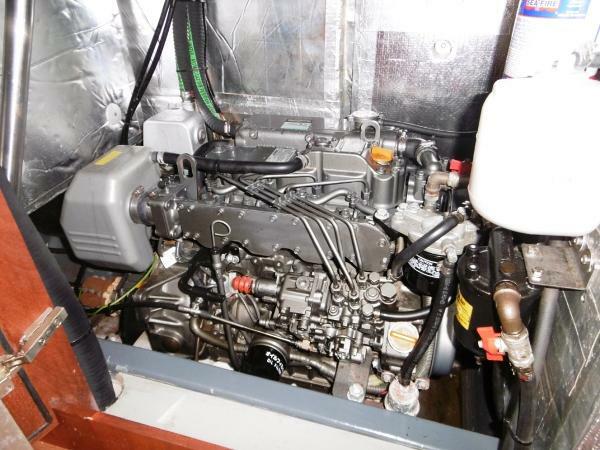 From this room there is good access to the generator fwd and also additional access to the engine, plumbing, and electronics. 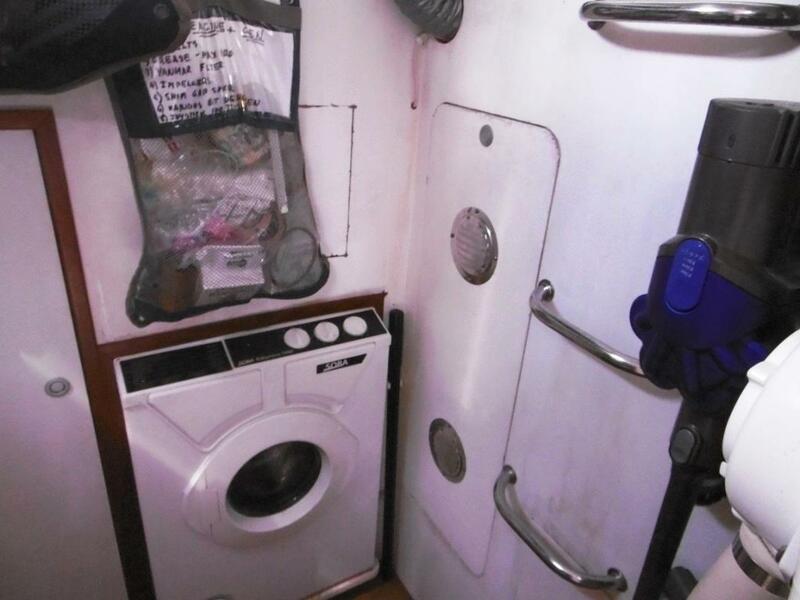 In this room is also the washing machine. 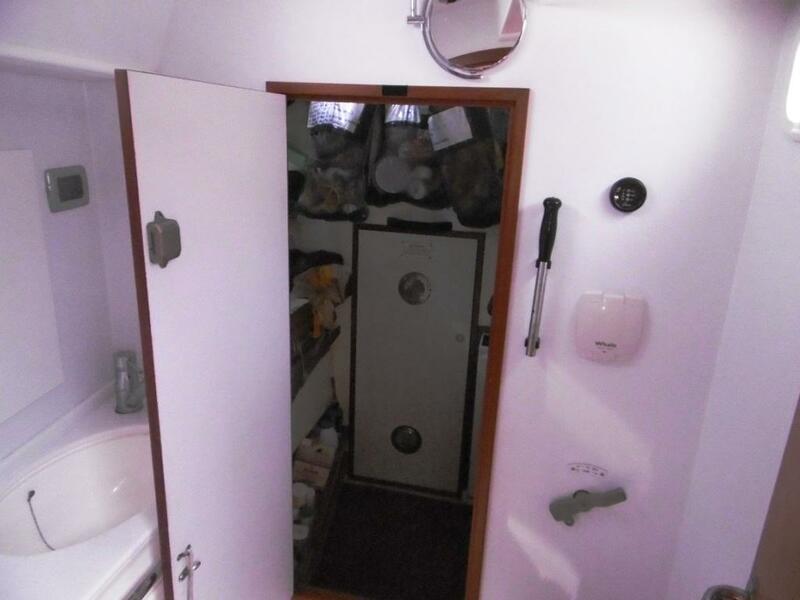 Access to this room is 2 ways - from the master head and also steps from the cockpit locker above. 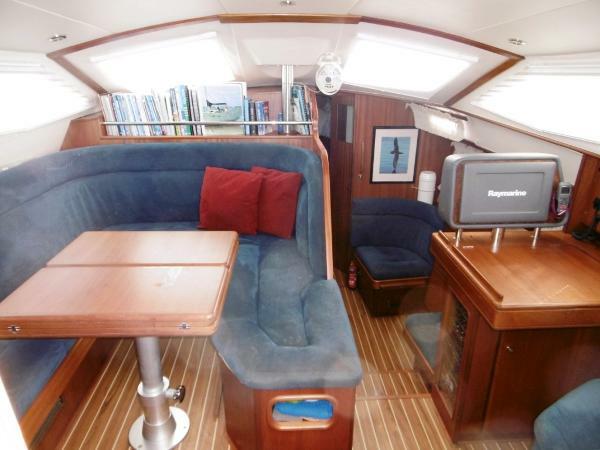 The spacious inline galley is located on the starboard side aft of the salon at a lower level. 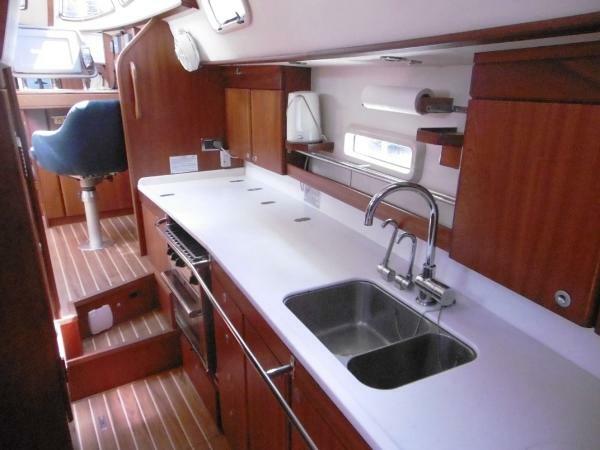 This location lessens the motion and provides more stability for the cook when at sea. A grab bar runs the length of the galley for added safety. 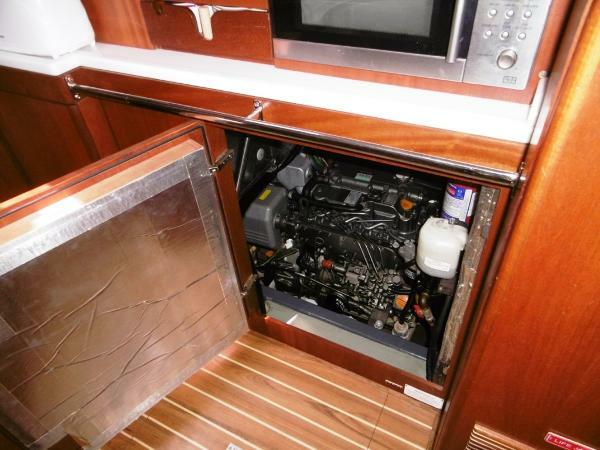 Lots of storage is found outboard in both enclosed lockers and open shelves. 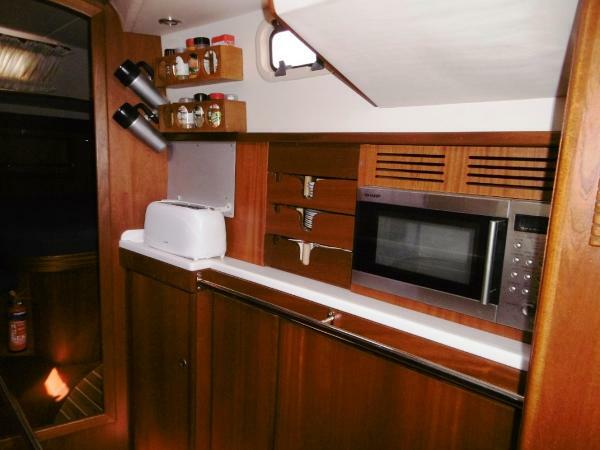 Additional counter space, a microwave and more storage is found inboard. 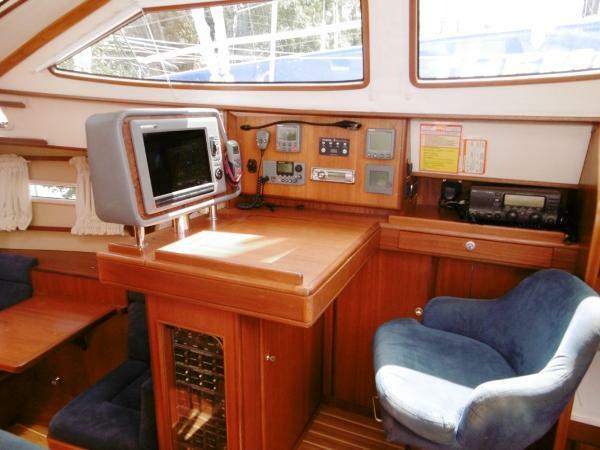 The nav station is conveniently located at the base of the companionway to stbd and has full outside visibility. A comfortable nav seat has an additional benefit in that it swivels. The nav table is large with storage under. 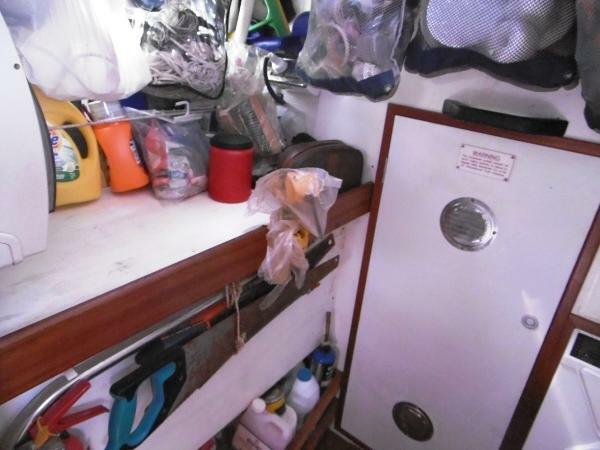 Additional storage is found under the chart table and outboard. 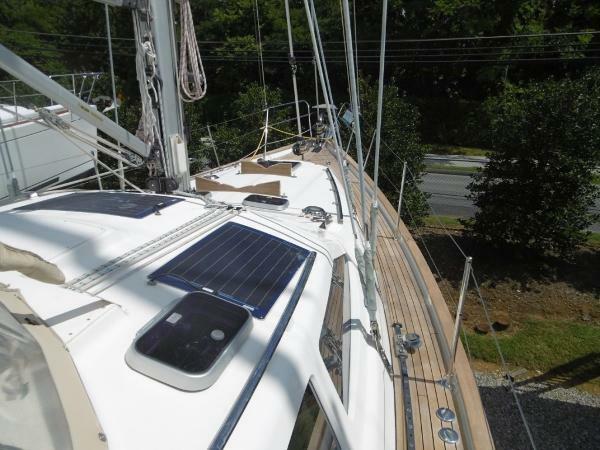 The Seldén rig is well thought out, the Furlex roller-furling double headsail system is easy to handle, and the placement of sheet leads makes single handling a snap. 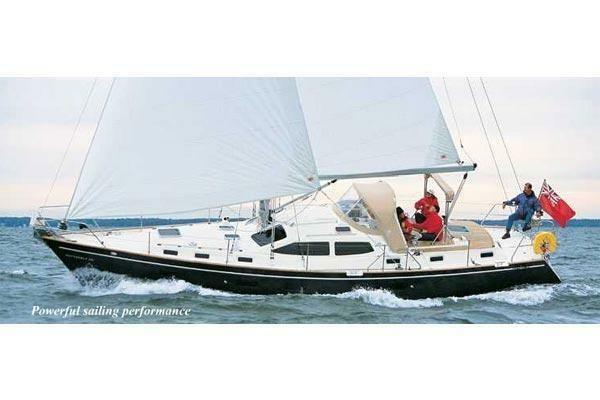 The steering is finger-touch smooth, and with the keel fully down, the vessel tracks very well. She exhibits neither the quick, jerky motion of a lightweight raceboat nor the bargelike undulations of a full-sectioned heavy-displacement cruiser. Selden inmast furling main. Tall rig. 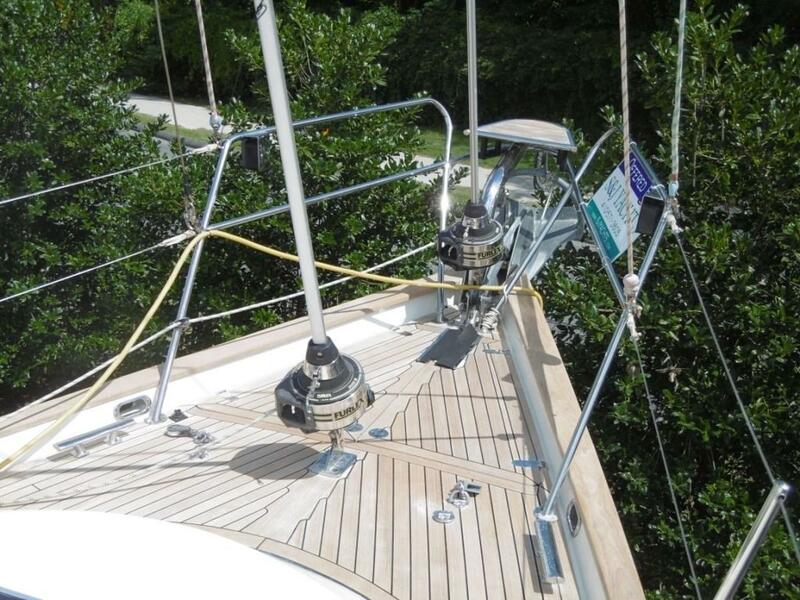 Stainless steel bowsprit for Gennaker.